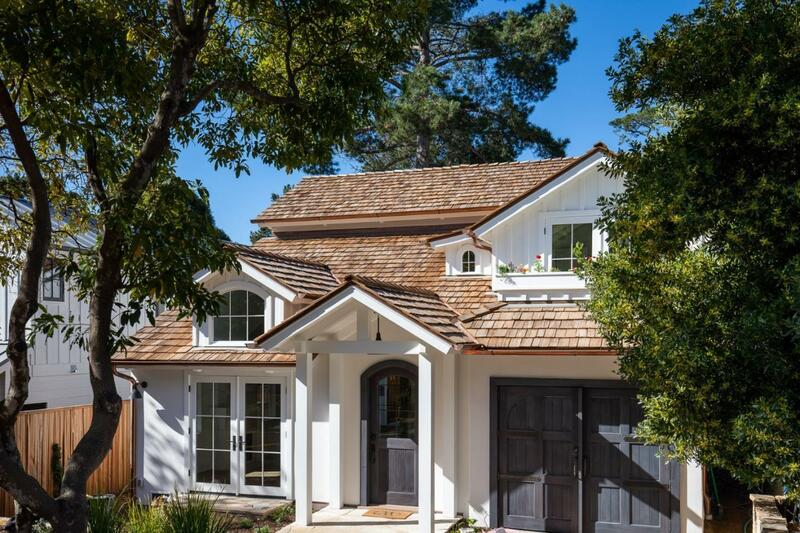 This newly completed coastal cottage masterpiece designed and built by Paul Walchli lies in the heart of the Golden Rectangle, just a few blocks from downtown Carmel and an easy stroll to the beach. Basking in natural light, the home is warm and inviting with white tongue and groove woodwork throughout, three en suite bedrooms, radiant heat, wide plank European oak floors, and gourmet kitchen replete with Calacatta marble and top of the line Thermador appliances. There is a spacious outdoor patio and yard just off the dining room and kitchen, providing a picture perfect al fresco setting. Reminiscent of a modern New England cottage by the sea.